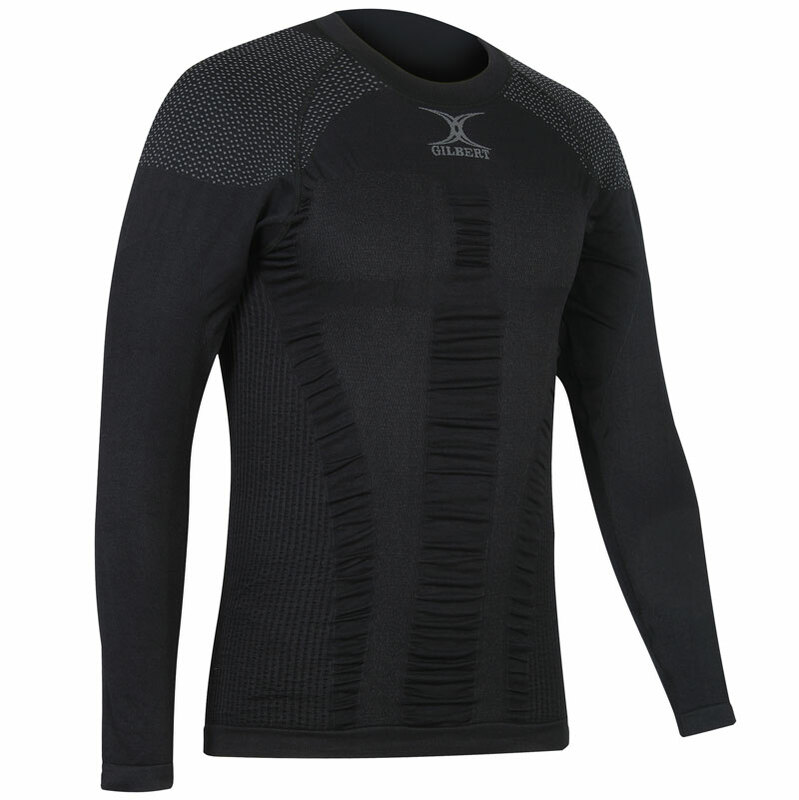 The Gilbert ® Compression Base Layer Top is a performance enhancing compression garment - compression garments are specifically designed to provide targeted support and pressure to the muscles to stimulate circulation, increase the flow of oxygen and eliminate lactic acid. Designed for the seriously hard-working player, our compression garments can help improve performance during training and speed up recovery after the match. Moisture-management technology takes away sweat through wicking. Material: 61% Polyamide, 30% Polyester, 9% Elastane.